Almost all browsers popular (and not only) gives users the ability to save passwords for online accountsSo they should not be forced to introduce credentials every time you want to access those accounts. Although in most cases this feature comes to help users (especially those who tend to forget their passwords or confuse them together) giving Instant access to online accountsIn some cases can be a disadvantage, can expose passwords saved or others using the same computer (And thus the same browsers) and also online, and some users may gain remote access to that computer through various malicious. 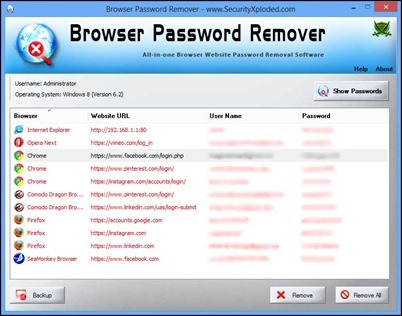 If your computer have access frequently and others or if you suspect system infected with malware, The most recommended is to wipe all browsers saved passwords online accounts used. 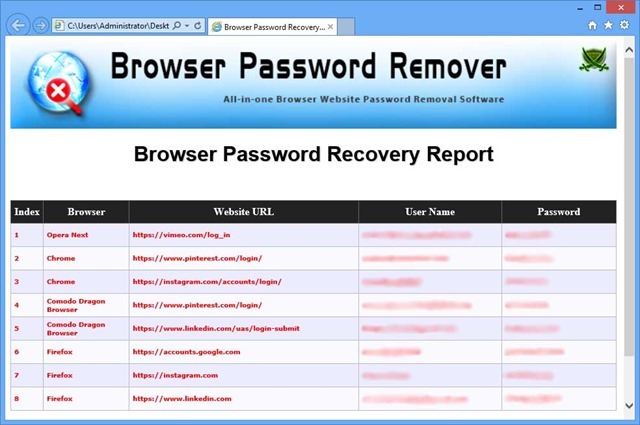 Browser Password Remover is a free utility with which users can display si delete all passwords stored in browsers used and, in addition, the application allows you to perform a backup passwords question before deleting them. Currently, compatible browsers are the following: Firefox, Google Chrome, Opera, Internet Explorer (starting with IE 7), Comodo Dragon, CoolNovo, SeaMonkey, Flock si SRWare Iron. 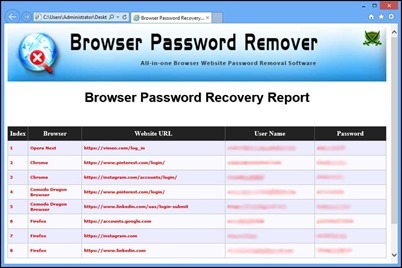 Browser Password Remover is simple interface and easy to use. After opening the application, click on the Show Passwords to display all passwords saved in browsers installed in the system. You can delete all those passwords using the removeOr all at once using the remove All. If you want to efectuatia a backup passwords saved in browsers before you delete them, you have this possibility using the backup (Backup can be saved either as HTML fileOr as text file). 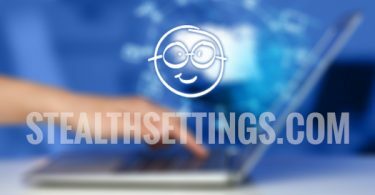 Note: The application is available in both a portable (no installation required) as well as the installer and is compatible with Windows XP, Windows Vista, Windows and Windows 7 8 / 8.1.